Anitha Engineers are the Vacuum Pump Manufacturers in Hyderabad. Anitha Engineers is know as Water Ring Vacuum Pump Manufacturers in Hyderabad. 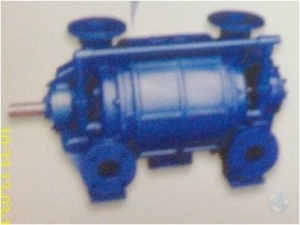 The Vacuum Pump can be manufactured with different types of materials of construction such as S.G.Iron, Phosphor Bronze, Stainless Steel etc. The Vacuum Pump Manufactured in Hyderabad are tested as per BS:1571 - Part 2:1975. Anitha Engineers the Vacuum Pump Manufacturers in Hyderabad manufacture the Vacuum Pumps / compressors in various capacities upto 5200 M2/Hr maximum, Vacuum upto 710mm Hg. For Vacuum Pump Manufacturers in Hyderabad Contact: Mr.P.Premnath M/s. Anitha Engineers 147/C, Phase II, IDA Cherlapally Hyderabad - 500051 Phone: 9391122475 .